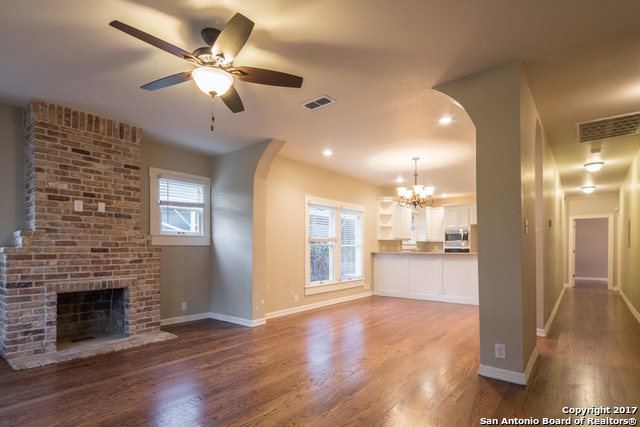 All LAVACA homes currently listed for sale in San Antonio as of 04/24/2019 are shown below. You can change the search criteria at any time by pressing the 'Change Search' button below. "2 identical units for $695,000! Live in 1 & rent out the other! An Amazing opportunity to own an award winning, nationally published, LEED Silver, contemporary masterpiece in the heart of historic Southtown. Built in 2009, the unique design offers sustainable & urban living w/ private outdoor space & 2 parking spots/unit. The modern & open floor plan accommodates various living options; including dual master bedrooms suites, 2 living areas down, study/office or separate dining. 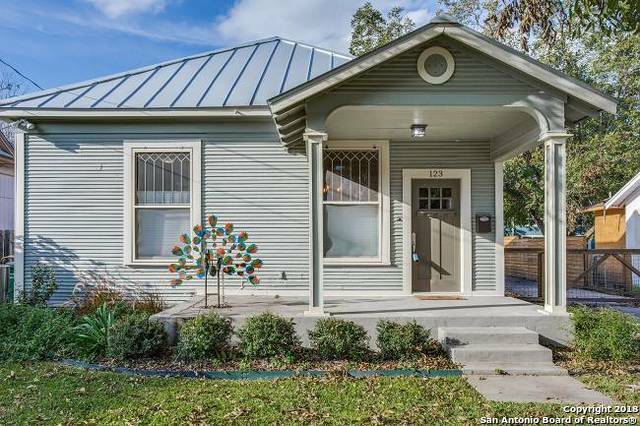 110 & 114 include"
"Architectural masterpiece w/ bespoke finishes located in Historic Lavaca. Built in 2014, offering 3 spacious bdrms & 3 full baths w/ an open concept perfect for entertaining on a massive rooftop deck w/ breathtaking tower views & outdoor kitchen. 1st floor offers a Mstr retreat w/ designer bath & private patio and ensuite 2nd bdrm. 2nd floor w/ 3rd bdrm, living & kitchen boasting a large island w/ Bertazonni gas range, stunning acacia wood floors, customs cabintry, elegant lighting & plumbing fi"
"This 3 story home, designed by High Cotton Architects was featured in SA's 2018 AIA Homes Tour. Located in the desired Southtown neighborhood, just steps to trendy hot spots, this home features a full Italian Bertazzoni appl. package, hand scraped birch floors & designer light fixtures. Find vaulted ceilings and minibars in the 3rd fl. 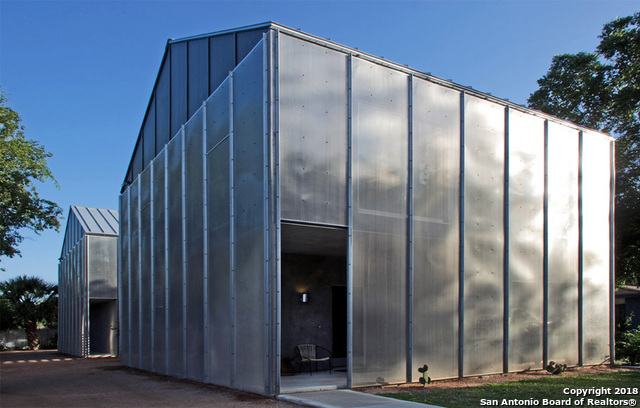 penthouse suite & many energy efficient features such as: spray foam insulation, a standing seam metal roof, electric car 240-volt connect, low-e windows & the li"
"This 3 story home, designed by High Cotton Architects was featured in SA's 2018 AIA Homes Tour. Located in the desired Southtown neighborhood, just steps to trendy hot spots, this home features a full Italian Bertazzoni appl. pkg, hand scraped birch floors & designer light fixtures. Find vaulted ceilings and minibars in the 3rd fl. penthouse suite & many energy efficient features such as: spray foam insulation, a standing seam metal roof, electric car 240-volt connect, low-e windows & the list g"
"Gorgeous recently built W/detached GARAGE & Studio apt! No expense was spared; designer floors, counters tops & cabinets were used throughout this incredible home. 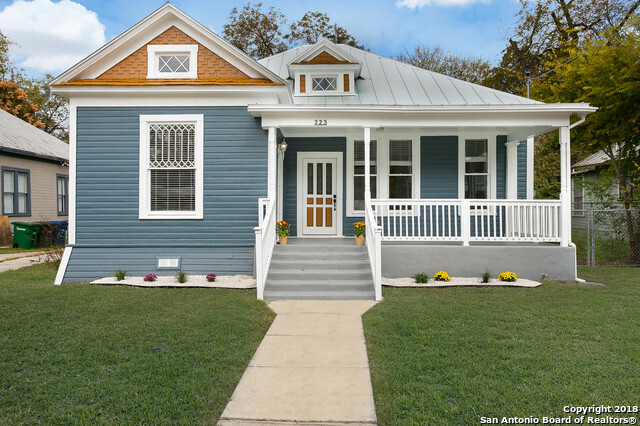 In one of San Antonio's most historic neighborhoods while still offering the modern touches, efficiency and comfort you desire. 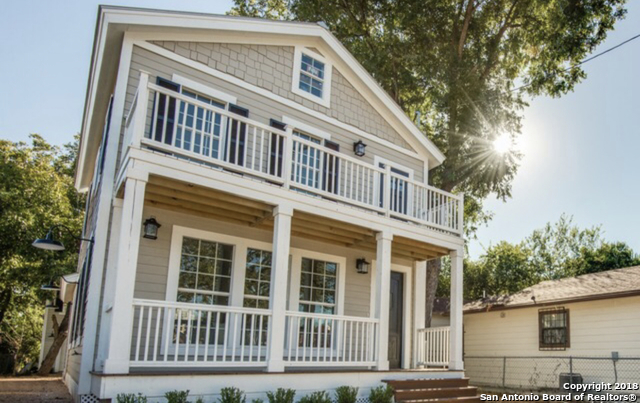 In addition to the open floor plan and high ceilings in the home, you'll love entertaining on the second story balcony with views of all downtown SA has to offer! Studio apt would make great home office or A"
"Old world charm with modern updated conveniences! This 1925 home has been completely renovated and ready to welcome its new family. Open concept floorplan perfect for entertaining. 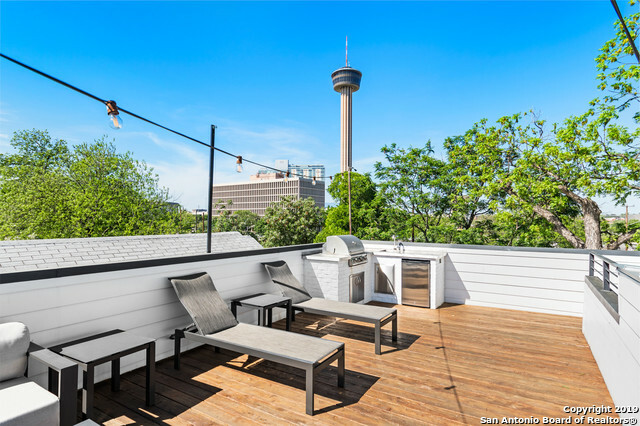 Enjoy this 3 bedroom/2 bath home with a view of Tower of the Americas (HemisFair). The detached 800sqft Casita (separate & private entrance) is fully renovated as well: living room, kitchen, 2 bedroom, 1 bath. All together, an incredible 5 bedroom 3 bath property. Owner financing is available!" 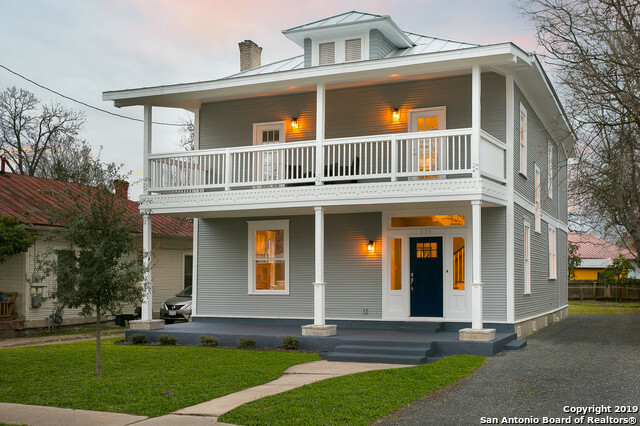 "Come and see this beautiful fully restored 1900 Colonial Home in Lavaca, the oldest existing neighborhood in San Antonio. Located within walking distance of HemisFair Park, La Villita, the Riverwalk, Blue Star, and many 5 star restaurants. Choose between waiving or freezing city taxes. Come take a look at this gem today and lets make this dream a reality by making this your new home!" "RESTORATION COMPLETE!!! A spectacular renovation awaits your most discerning buyer. In the heart of Lavaca, this beautiful home features master-down, and 2 bedrooms upstairs. Custom cabinetry, beautifully restored hardwood floors, modern conveniences, and tasteful design selections throughout. Enjoy the best of old meets new within walking distance to neighborhood hotspots. 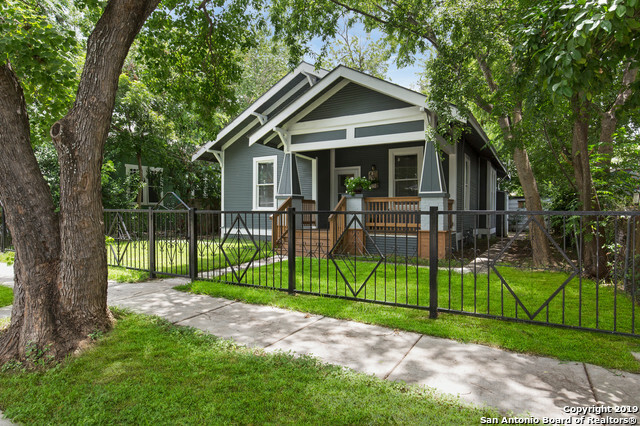 From its picture-perfect wraparound front porch, to the privacy of its custom backyard deck, this house is ideal for entert"
"***Motivated Seller, NO CITY TAXES***MINUTES FROM DOWNTOWN SA**Beautifully renovated 1905 craftsman style home in the historic District of Lavaca with updates galore including new plumbing and electrical! This gorgeous home has been meticulously remodeled with beautiful designer touches throughout and modern conveniences perfect for a growing family! Relax in your front porch & back patio! Live minutes from downtown, Alamodome and Southtown where you'll enjoy incredible dining, shopping and ente"
"Charming 1930's. Beauty! This 3/2 has been fully renovated (plumbing, electrical, AC, roof), very classy and necessary updates retain it's antique charm. Updates include wood floors, granite counter tops, custom cabinets. stylish lighting, sleek bathrooms & much more! Expansive deck for relaxing & entertaining. Located South Town close to King William, Blue Star & great restaurants. This is a must see property." "Urban chic Craftsman home entirely renovated*Home was gutted and redesigned for a more modern look*Floor plan designed for easy living. * All new electrical,plumbing,walls,insulation,cabinets,granite and teak wood counters,stainless steel kitchen appliances to include gas stove and refrigerator,cabinets,HVAC system,flooring and so much more.High ceilings*Charming front porch*Lot is deep with backyard gate*Revitalizing neighborhood*"
"WELCOME to this little gem hidden in the Historic Lavaca District! 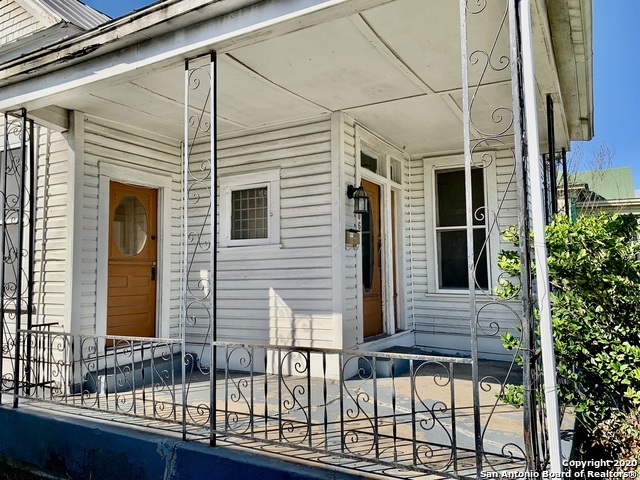 Original charm from the 1940's to include crown molding & wood flooring to a modern touch in the BRAND NEW kitchen, renovated bathrooms & a custom deck. Kitchen boasts custom cabinets, brand new SS appliances, granite counters w/ great space! Home features a NEW HVAC, NEW water heater, NEW plumbing/electrical throughout and a detached workshop. Minutes from downtown, Southtown, restaurants, major highways & more! Schedule your sh"
"NEW Remodel Home in th LAVACA district. Where Historical meets modern. 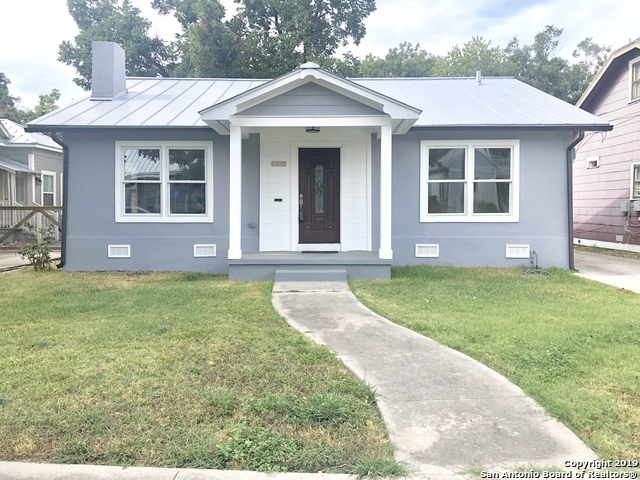 Fully rehab 3/2 home with New metal roof. open floor plan, re-stained hardwood floors. Great deck to entertain guest and enjoy a night looking at the Tower of the Americas. Home also has a 515sqft Apt that has been fully remodel only waiting on cabinets to be installed. Set up a showing now!!!" 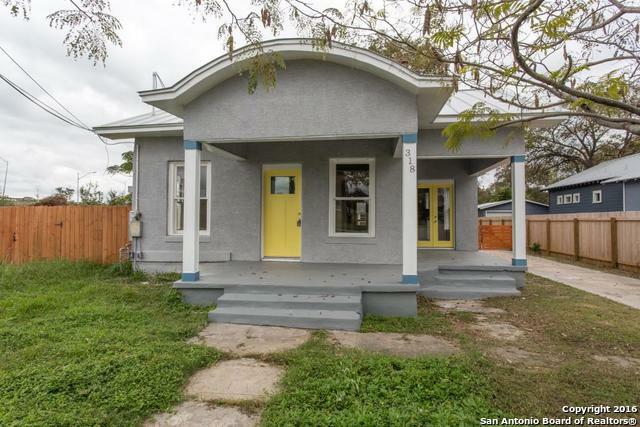 "Very nice updated 3 bedroom 2 bathroom home located in highly desirable and ECLECTIC Lavaca / Southtown area. Lots of new and planed significant big player development occurring in this area. Easy walk to many attractions and activities. Metal roof, solar panels,easy to maintain unique yard. Flexible open floor plan that allows for modern living. Want additional income..consider using that HUGE MASTER bedroom as AIRBNB. A most quiet, bucolic setting. Interesting landscaping. Owner will consi"
"This is a chance to live in an amazing location in the bustling South Town area. 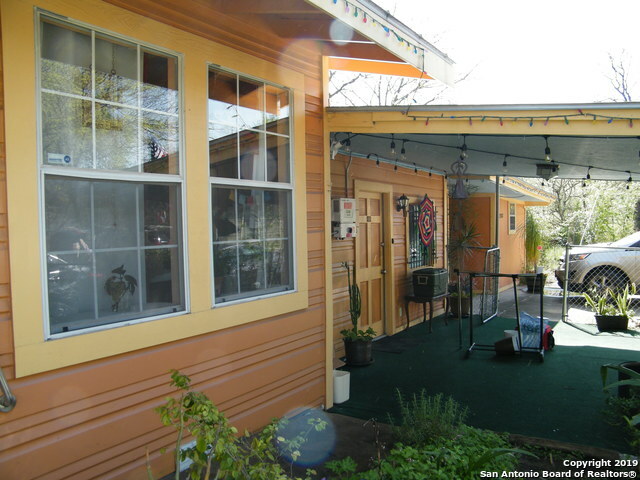 Walking distance to many eateries, down town, river walk, King William, and Blue Star. In the Historic District with beautiful homes! Major highways close by, and under ten minutes to the Pearl. High ceilings and large backyard with mature trees." "Park like back yard .32 of an acre, Great home with large kitchen, 3 bedrooms 2 full bath. Located in Southtown Lavaca Historical neighborhood walking distant to many area restaurants, Hemisphere park and downtown River walk." "All original LAVACA home age is unknown & 0.8 mile from Tower of Americas. BCAD has built 1950 but this does not seem accurate.Original windows, base boards, trim, interior & exterior doors with original knobs. Large corner lot. This home is livable. Fix & live in. Roof does not seem to be leaking anymore. Redesign of floorplan would be add second bath in laundry room.Add master bedroom where kitchen is and connect existing bath to master on suite. Move kitchen to large open area for 3 bed/2 ba"